Navigating college financial aid can be difficult, especially if you don’t know where to look or even begin. Odds are that you know getting a higher education can be expensive, so if you’re past the point of having your initial meltdown session from looking at the tuition costs, then we’ve already gotten past step 1! 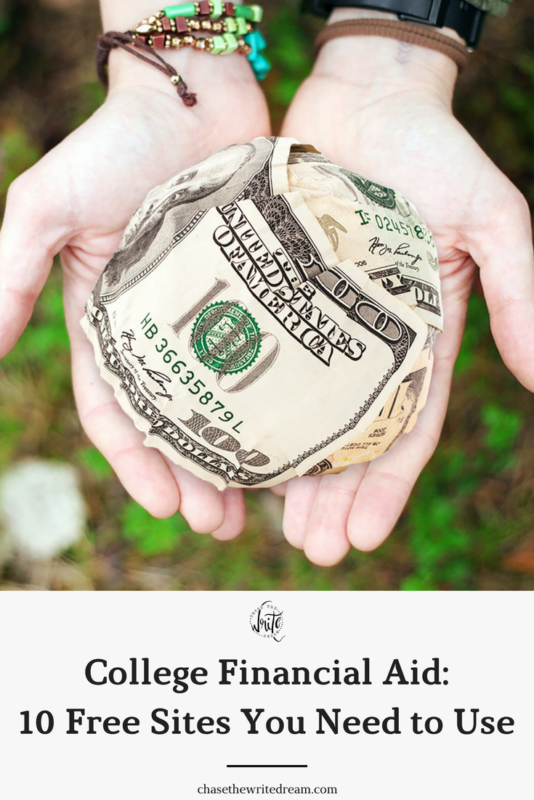 My goal for this post is to help you see that there are a variety of resources out there to help you with the college financial aid process. Below, I’m providing you with ten websites that will help you navigate the system, learn all about the various types of aid, and hopefully get you some extra money to put toward any college expenses you or your children may have. If you haven’t already, you are going to be hearing A LOT about the FAFSA over the course of your college education. Do yourself a favor and head on over there to read all about the ins and outs of it. You’ll want to make sure that you apply for a PIN if it’s your first time filling out the form. Also, please keep in mind that this form is FREE! Schools require that you complete this by a certain time every year so that you can be eligible for college financial aid in the form of grants, work study, federal loans, and some scholarships. Want more detailed information on college financial aid? Head over to my post Financial Aid for College: What You Need to Know. College Board is your place for SAT prep and sign up, CLEP and AP exam information, and so much more. One of my favorite features of this site is the college search tab that allows you to search for your ideal college based on factors such as location, campus life, and available majors. While you’re there, take some time to explore the various careers that you can get into by majoring in whatever subject interests you. College Board allows you to sign up for your own account so that you can keep track of everything, including how you can pay for your college education! FinAid is not a super beautiful site to look at, but the information you can find about college financial aid is absolutely invaluable. This is the place you want to go if you have questions about completing the FAFSA, how the military affects your aid, and if you need some more guided assistance on the whole college planning process. About.com College Savings is a great site to find information on everything relating to college financial aid. 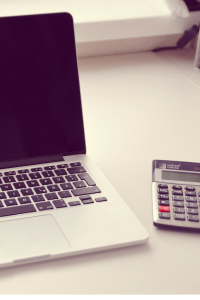 Here, you’ll find articles that focus on 529 Plans, as well as others which walk you through how to apply for aid and calculate the cost of your education. In the blog, you can find news about college costs and what you should know about higher education. Since the guide updates the section every day or two, you can expect to find new information and tips throughout your savings process. The U.S. News Education section is one of my favorites to visit to this day because they post college ratings every year, have a great search tool, and provide lots of useful information on a variety of topics, including college financial aid. You’ll notice that this site has specific sections for the level of schooling you are in (e.g. high school, community college, college, graduate, online). This is a great site for learning the ins and outs of the FAFSA, as well as what the different types of financial aid mean. You can get information on the various repayment programs that will be available to you after school, how college financial aid gets disbursed, and everything in-between. If you are still in high school and are just getting started with the planning and college financial aid process, you’ll definitely want to put College.gov at the top of your list of websites to check out. It is never too early to start saving for your college education. Upromise.com allows families to help save up funds for the student through their purchases. Individuals can input their credit card information, shop online through the site and/or eat at specified restaurants to participate. A designated percentage of each purchase will be placed in the student’s fund on the Upromise site. 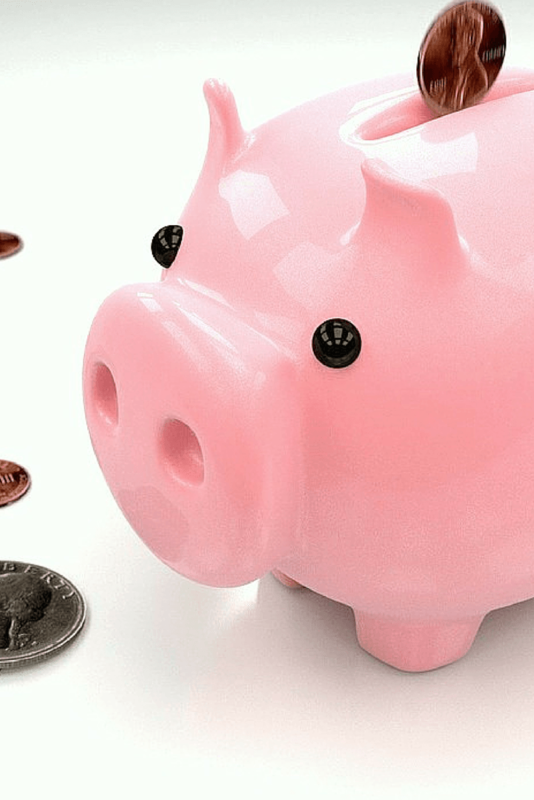 This site allows multiple family members to participate in the savings process. An account can be set up at any time for the student, so the earlier you start saving, the better! Funds can be withdrawn directly from the site. Another benefit of Upromise is that you can use the money you’ve saved up to pay off any current loans you may have with Sallie Mae. Savingforcollege.com is unique because it has a strong focus on 529 plans. They recently released a guide showing their best performing 529 plans from last year which is great information for anyone who is trying to choose a plan. This site is probably the best resource I’ve found on the web is regards to learning about these plans, how they work, and how they can help with your college financial aid journey. 529 plans not your thing? 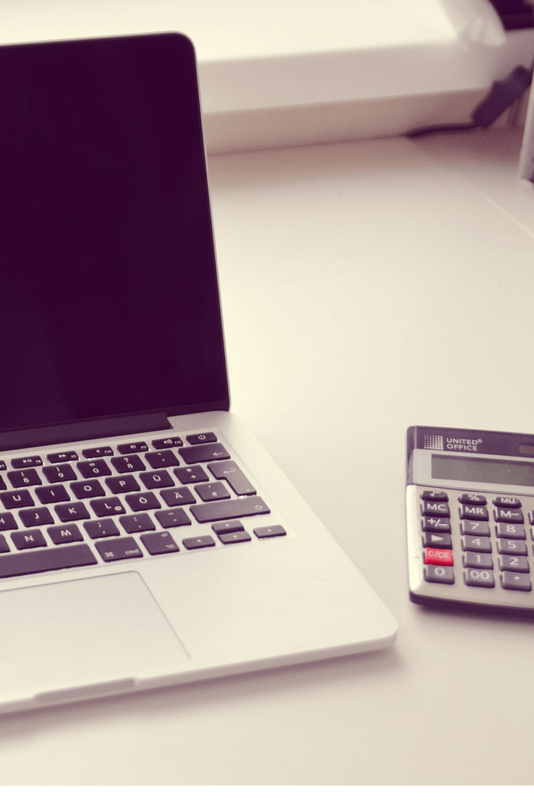 Still make sure you check out the financial aid section that has tools and calculators to help you figure out costs and potential financial aid amounts. FastWeb is one of the biggest scholarship sites on the web. Students can fill out a profile and receive results that are tailored to their interests, academic goals and grade point averages. Be prepared to write some essays or provide references from faculty at your school. Also, make sure to read the full list of guidelines before applying to any scholarship. Even if there is are several applicants, I always encourage students to apply because it’s free money and I know they could use some extra college financial aid! If FastWeb is too popular of a site for you, there are tons of up-and-coming apps available on your smartphone, such as Scholly. Known mainly for its loans, SallieMae.com also provides students and parents with information in regards to college preparation. You can browse through pages that assist with saving for school, applying, and finding free money. I really like the Plan for College section as well. Most people won’t associate Ebates with college financial aid, but I am because SO much money can be saved here. With tons of cash back deals, you can easily buy almost all of your college student essentials and get some money back to put toward other expenses. Every little bit counts, right? Is your brain fried yet? I know navigating the college financial aid process can be a bit overwhelming, so I hope these sites help put your mind at ease. If you have any questions or any sites you’d like to add, I’d love to hear them in the comments below! Great information! My daughter is applying for student aid and I’m going to link these tips over to her! I hope that she is able to get a lot of great financial aid awards! Those are all great sites! Thanks for sharing! Thank you so much for sharing, this is a great resource. I’m saving this right now. I have two kiddos heading to college soon and I’m contemplating returning to college myself. I hope the resources help, Tami! I post things about college quite often so I hope you’ll check back soon! Ah college loan paperwork memories. Ones I don’t wish to relive. But I will vouch for Sallie Mae. Cannot beat the interest rate I have with them. I wish I had known about these when I started college! Thank you so much for sharing! I’m going to college in only a few years and finances have been on both my parents’ and my mind. This is so helpful, thanks again. You are so welcome, Iris! Let me know if you have any questions… I’d be more than happy to help answer them if I can! Wonderful! I will pass this on to my daughter! Thanks for all the resources! I feel like staying on top of the news as far as financial aid goes has been a part of my life for a long time–I have two siblings in their sophomore year right now, and another sister will be starting as a freshman this fall, so getting money for college is an oft-discussed topic! It looks like college is going to be a big topic of discussion in your family for the next few years! This is a very helpful list. I have a son that is a junior in HS so we are getting ready to dig into all this info! Thanks! Financial Aid is the only way I got to go to college – way back when it was easy to apply and get. I hope it’s that easy now-a-days for the ones who really need it. Financial aid was definitely a life saver for me as well. I had no idea there were so many great resources out there! It’s so good that there are a variety of supports like these for going to college. I’m amazed at the growing number of resources that are available to students now. Sometimes you just have to do a little digging to find all the great info! What a helpful resource for anyone at this stage! Great idea! Great post! I worked in higher education for several years and the financial aid process can be such a mystery. FAFSA is my dad’s favorite thing ever. God bless financial aid. This is incredibly helpful! I can’t wait to sit down with my niece to go over these sites. Thank you! I wish I had found this post three years ago when I first began the process! SO helpful. And amen to College Board…they have oh so many resources that can make a huge difference transitioning into collegiate life. Such a good list! I spent a lot of time my last two years of high school on these sites, and it paid off! I was able to graduate college debt-free. Such a great round up of resources! Thanks so much for sharing! I am a student employee at my college’s financial aid office: studentloans.gov and the nslds website are extremely IMPORTANT. I personally do not recommend Sallie Mae because of the high interest rate. I recommend Discover or your personal bank. Elm select is a good website for students to kind of shop around to see which loan is good for them. I have one last advice, when creating the FSA ID, students need to create their own ID and parents need to create their own and SAVE their information in their phone or on a piece of paper and hide it. Thanks for stopping by, Monica! I think that the more resources students know about, the better! Thanks for the informative article! With the increasing tuition fees in American universities, it is not surprising that high school students are being deterred from continuing their education or are being lured by the promise of lower fees in other countries. This does not have to be the case though as the number of scholarships being offered in the United States are increasing as well. But as it can be highly competitive, it is extremely handy that students are aware of the four tips mentioned above to increase their chances of getting a scholarship even more. As someone who got through university because of scholarships, I understand the importance and difference it makes and I think more people should take part in that. There are plenty of websites that give a list of scholarships being offered and I absolutely love the ones you mentioned. But I would also love to recommend scholarshipkid.com. I like how everything is compiled, yet categorised at the same time.